The National Archives holds the records of the modern Irish State which document its historical evolution and the creation of our national identity. Its holdings have enormous research potential as they provide essential primary source material for people seeking to understand the political, economic and social forces which have shaped our nation. It delivers formal services to both the public and government, and is working to develop and deploy new services to meet the challenges of the digital age. The National Archives (UK) is a non-ministerial department, and the official archive and publisher for the UK Government, and for England and Wales. We are the guardians of over 1,000 years of iconic national documents and are expert advisers in information and records management as well as being a cultural, academic and heritage institution. The National Archives holds an extensive archival collection relating to the governance of Ireland, its people and its history from 1200-1922. These records are fundamental to understanding pre-modern Ireland, its subsequent history and its relationship with the rest of the United Kingdom to the present day. The Public Record Office of Northern Ireland (PRONI) is the official archive for Northern Ireland. PRONI is distinguished from other archival institutions in the United Kingdom by its unique combination of private and official records. The Record Office combines the functions and responsibilities of a range of institutions: it is at the same time Public Record Office, manuscripts department of a national library, county record office for the six counties of Northern Ireland, and holder of a large range of private records. This range of remit, embracing, among others, central and local government, the churches and the private sector, is unique to Northern Ireland. By approaching solicitors, business people, politicians and the landed aristocracy, Dr Chart and successive Deputy Keepers were able to compile a significant substitution for some of the destroyed manuscripts. The drive to secure and protect this archival heritage has resulted in holding 58 kilometres of shelf-filled records covering every aspect of life in Northern Ireland, a veritable treasure store of information about our past, protected for our future. The Irish Manuscripts Commission (IMC) is a public body founded in 1928. Its remit is based on the principles of dissemination, preservation and promotion of original source materials in public and private ownership for the history and cultural heritage of Ireland. Since 1930 the Commission has established a proud record of publication and it is recognised nationally and internationally as a publisher of primary sources for the histories and cultures of Ireland. It has overseen the publication of over 200 titles, mainly editions of original manuscripts. Its serial publication, Analecta Hibernica, of which the first volume appeared in 1930 and the 48th volume was published in 2017, is devoted to the publication of shorter manuscripts, lists and reports. It also carries reports of the Commission's activities. IMC continues to promote awareness of primary sources for history among the general public and to advise the Minister for Culture, Heritage and the Gaeltacht, when requested, on matters relating to manuscripts. 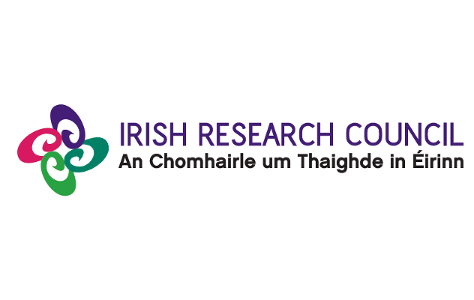 Beyond 2022 is funded by the Irish Research Council and supported by Science Foundation Ireland’s ADAPT Centre and Trinity’s ‘Making Ireland’ Research Theme. The project team is interdisciplinary drawing on Trinity’s expertise in humanities and computer science. Beyond 2022 builds on Trinity College Dublin’s remarkable track record in the Digital Humanities. Notable Trinity-led Digital Humanities projects include; CIRCLE: A Calendar of Irish Chancery Letters, which was launched in 2012 and reconstructed the records of the medieval Irish chancery destroyed in 1922; the 1641 Depositions Project; and the Down Survey of Ireland, launched in 2013. These projects demonstrate Trinity’s unique culture of mutually beneficial collaboration on Digital Humanities projects, a relationship cultivated by over a decade of partnership and cooperation between the disciplines. Collectively these Digital Humanities Projects have transformed the evidence base on which Irish history is written and they place Trinity at the forefront of research and outreach on all aspects of Ireland’s past. Trinity’s expertise in the study of Ireland’s culture, society and environment is brought together in the College priority Research Theme, ‘Making Ireland’, which explores Ireland’s profoundly complex inheritance in its local and global manifestations, bringing Trinity’s research to Ireland’s citizens and to scholars across the globe. The ADAPT research centre focuses on developing next generation digital technologies that transform how people communicate by helping to analyse, personalise and deliver digital data more effectively for businesses and individuals. ADAPT researchers are based in four leading universities: Trinity College Dublin, Dublin City University, University College Dublin and Dublin Institute of Technology. ADAPT's transformative tools allow you explore video, text, speech and image data in a natural way across languages and devices, helping companies unlock opportunities that exist within digital content to re-imagine how to connect people, process and data to realise new economic value.